This immersive, inventive and visually arresting concert, initially presented by City Music Foundation at St Bart’s Pathology Museum, is an evening of music musing on the end, the one certainty in life; the one thing about which we know the least. Leaving very few musical stones unturned, the programme meanders through American folk song and blues, lute song (Dowland), lieder (Schubert), indie rock (Radiohead, Death Cab for Cutie) and baroque opera (Purcell) before winding up at the evening’s namesake. The performance culminates in death speaks, a haunting song cycle by Pulitzer Prize-winning composer David Lang. 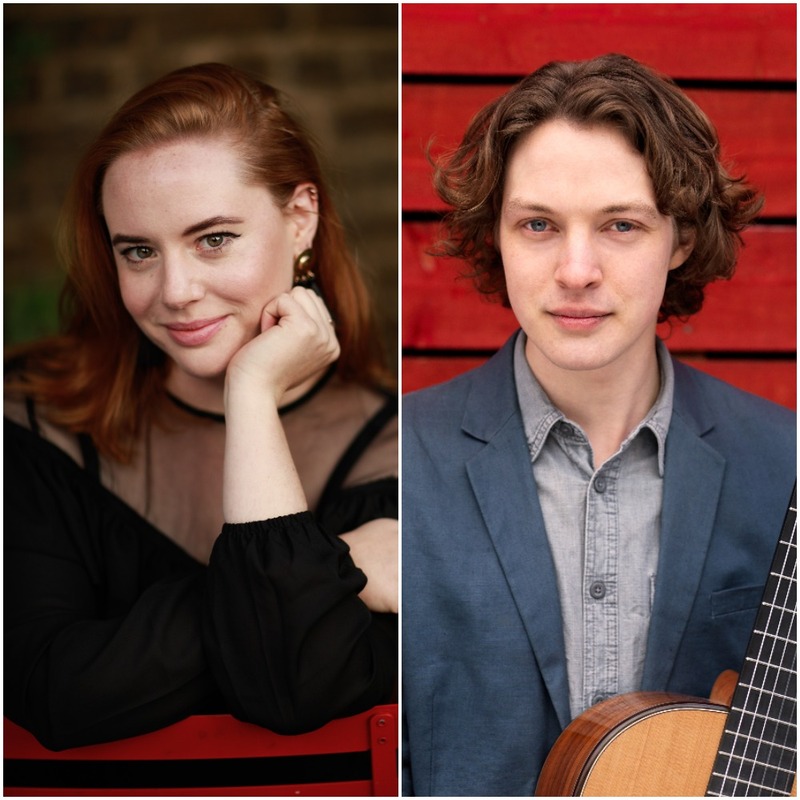 Since meeting and beginning a musical collaboration while studying at the Royal Academy of Music in 2015, Lotte Betts-Dean and Andrey Lebedev have taken their recital program for voice and guitar around the UK and Australia, including Buxton, Cheltenham, Norfolk & Norwich Llandeilo, Lewes and Gower Festivals, and received praise in The Guardian. As the inaugural New Elizabethan Award winners, the duo are particularly passionate about promoting new music. Their broad repertoire covers composers such as Dowland, Britten, Brett Dean, Manuel De Falla and popular bossa nova tunes, and their recitals range from 45 minutes to a full 90 minute concert. First performed at Melbourne’s Play On concert series in March 2018 with the Penny Quartet, this program celebrates repertoire written for the voice and string quartet. At its heart are two beautiful, emotional yet strikingly different works- Respighi’s sumptuous vocal tone poem Il tramonto, and Nico Muhly’s recent work So Many Things, set to text by CV Cavafy and Joyce Carol Oates. Lotte is only the second singer to have performed this wonderful work after Anne-Sofie von Otter, for whom the piece was written in 2013. The one-hour program also features works by Brahms, Barber, John Adams and Kate Bush. This program can be edited or extended to a full length concert with other voice and quartet repertoire, including works by Honegger,Schumann, Hindemith, and Arvo Part. Lotte’s first collaboration with brilliant young Australian pianist and fellow Ensemble x.y member Joseph Havlat, this piano and voice program is centred around one of the most challenging large scale song cycles ever written: the extroardinary 1945 masterpiece Harawi: Songs of Love and Death by Olivier Messiaen. A very rarely performed piece, Lotte and Joseph performed the work in Melbourne and Hobart to critical acclaim in the Australian press. This program is designed as a full length recital, the Messiaen preceded by Judith Weir’s 1987 cycle Songs from the Exotic, and Poulenc’s solo piano work Promenades. This concert can be extended to also include Sigurd von Koch’s stunning cycle Exotiska Sanger or truncated to feature Messiaen’s Harawi only, which is 50 minutes in duration. listen to "so many things"